Selecting the right brand name can make all the difference in the world in marketing luxury real estate. If you can help people remember your personal or company brand name after just one impression, so they contact you directly or readily recommend you to others, your chances of surpassing your competition is significantly enhanced. 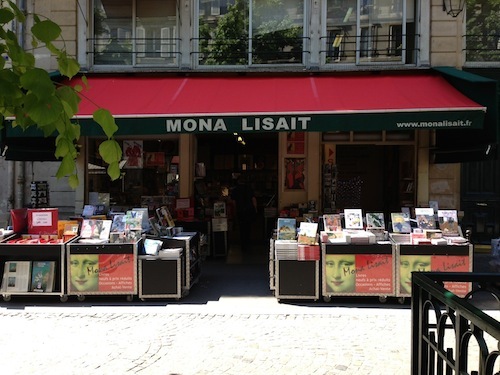 In Paris we encountered a bookstore called Mona Lisait (pronounced lee zay), which means Mona Read. This is a great name because most everyone who reads is somewhat familiar with the painting, Mona Lisa, by Leonardo da Vinci. They are able to use the image of the painting in their branding because it is in the pubic domain in the United States and those countries with a copyright term that is over 100 years. Now all you need to remember is to add “it” to the name and voila! It makes you smile like Mona and it is almost impossible to forget afer just one impression. The play on words is a great memory trick for branding because it immediately engages your target market and sparks word-of-mouth advertising. Combine that with a word or phrase that is already familiar and you have a “home run” in luxury real estate personal or company branding. In Part 2 of this article series we will cover another Parisian brand that uses a play on words to accomplish the same effect.